Joe and Sally were sitting in their family room one night. 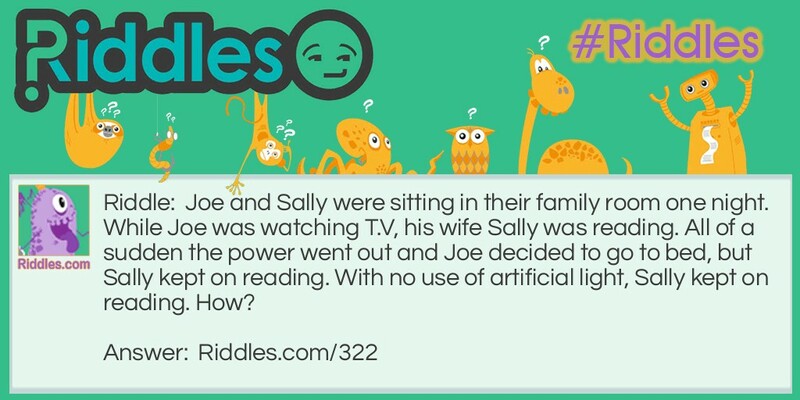 While Joe was watching T.V, his wife Sally was reading. All of a sudden the power went out and Joe decided to go to bed, but Sally kept on reading. With no use of artificial light, Sally kept on reading. How? Sally was blind, she was reading a book by Braille. Lights Off Riddle Meme with riddle and answer page link.